Say it with flowers but really mean it with chocolate! 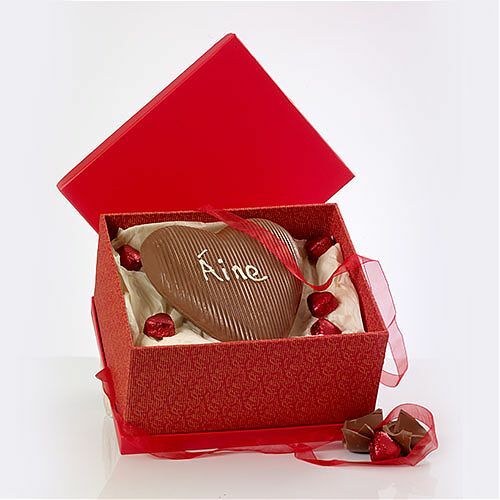 A luxurious Handmade Chocolate Heart with a handsomely thick shell and chocolate that snaps beautifully. Also contains a box of 4 'melt in the mouth' hand made chocolates.